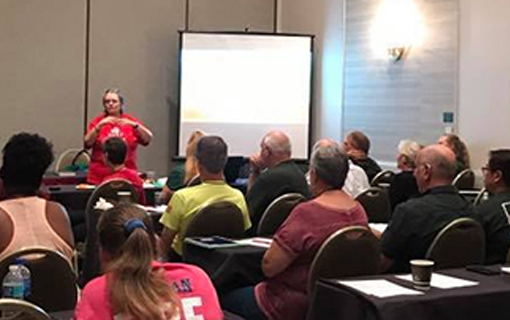 Benefits of FCA Membership - Florida CERT Association Inc.
CERT program support including statewide training and education in disaster planning/emergency preparedness for citizens and established CERT teams. Mitigation for support of local, state, and federal authorities; participation in local mitigation strategy organizations; participation in efforts to educate residents and representatives about actions they can take to protect individuals, property, the environment, and the economy from the effects of a disaster. Outreach for encouragement of the formation of and providing guidance to others wishing to establish CERT organizations. a 501(c)3 (not-for-profit) organization established in 2001, whose primary goal is the support of statewide training and education in disaster planning / emergency preparedness for citizens and established CERT teams. © Fla CERT Association. All Rights Reserved | Website design and maintenance by Arma Communications Inc.